When it comes to creating storage space in your loft, you have a lot of options. This means that you will be able to find a storage solution that works well for you and your home. In fact, creating additional storage space in your conversion isn’t as difficult as you may think, even if you have a small loft. Below we have outlined some of our favourite suggestions to help you maximise the available storage space in your loft conversion. Though an obvious way to create storage and hide clutter, cupboards shouldn’t be overlooked. 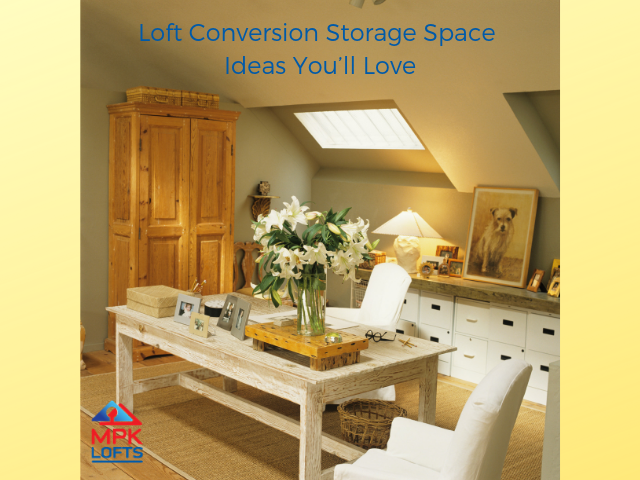 They are a simple, easy and affordable way to create storage space in your loft. It doesn’t matter what you are storing or how much space you have, you are sure to find cupboards that fit seamlessly and look great. Another consideration in a loft conversion is the possibility of storage in the eaves. This is a common space saving trick, allowing normally ignored, unusable areas limited by a sloping roof to be used as cupboards. Another great way to store items is to sit on them! Putting a window seat storage bench in your loft is a great way to hide away bits and bobs whilst offering seating at the same time. Alternatively, try an ottoman with storage inside; perfect for storing blankets, books or whatever else you might like to keep tucked away. If you need a lot of additional storage in your loft, wall storage units work well. These can be built to cover a large area and they can span the entire wall, meaning that all available space is used and your loft has maximum storage. Custom wall units are also an option, if you have smaller and more unusual spaces that you’d like to use. If you are struggling to find somewhere to keep books, ornaments, trinkets, bits and bobs then you may want to consider floating shelves. 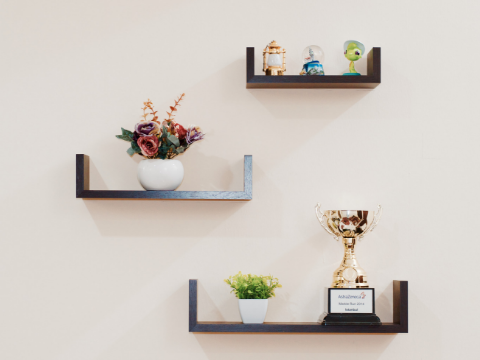 As well as being relatively quick and easy to install, floating shelves are the perfect way to store items whilst having them out on display. Instead of putting away some of your favourite books and photos, arrange them on a floating shelf. When it comes to under bed storage, there are two options. You can either buy a bed that already has under bed storage, which is often the easiest and most professional looking option. However, if you already have a bed that you love and you are not looking to buy a new one, you can use storage tubs. All you need to do is fill the tubs with whatever you need to store, before sliding them under the bed and out of sight. Under the bed isn’t the only part of the sleeping area you can utilise for storage; built in or free standing shelves, cupboards and drawers along the wall at the head of the bed, running floor to ceiling, are handy for bedside use, great for storage and don’t take up too much space. They can be designed or chosen to fit the shape of the room, helping you make the most of every available inch. If you’re struggling for space in rooms other than the loft, why not try some of these out? They’re great for any part of the house, not just a converted loft! Have a look at our fantastic storage hacks for the household as well, and don’t forget about the kitchen; there are lots of kitchen storage tips and tricks to make the most of the space you have there too. At MPK Lofts Conversion & Construction, we understand the importance of a fantastic loft conversion. It doesn’t matter whether you are turning the loft into a bedroom or an additional bathroom, it’s vital that space is utilised for storage as much as possible. After all, who doesn’t want more storage? To find out more about loft conversions and any of our other services, get in touch.